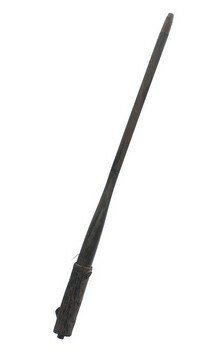 It's a wand much like the ones used in Harry Potter. It is 12 inches long and is nicely stylized. The wand lights up when you push the button the bottom the wand. It also is a pen to write with. Batteries are not replaceable. Recommended Age: 3 and up.